Glad to see you’ve recovered from my Xmas poetry. think it’s sort of stupid. men would write poetry to their lady love. that would make you blush. I know you don’t want to hear such filth. a precise number of lines. was for a samurai to declare his death. and you are going to cut your guts out. a night to write a poem to sum up your death. One last chance to give your life meaning. what do you think a samurai would write? The way of the samurai. One swift and strong blow. No motion of his body. Yet his sword is still clean. Well, here’s the real thing. a stream of refreshing breeze! subdue a man like me? and to consider these things. Deep thought from men on the cusp of battle, disgrace, death. what would be your poem? and you only have a handful of syllables to do it in. in the vagaries of the universe. it was used to defeat samurai in battle. Newsletter 818 ~ Sign up at the top left! A Buddha Crane Matrixing Win! Got a great win from Timothy G this week! Check it out ~ Click on the cover! please take note of a few things here. which comes from increased understanding. Making changes isn’t always easy. that you have come to believe in. and he becomes the authority. or having the ability to be expert. how important is the black belt at this point? and that is senior to black belt. to put together their own system or subsystem? but I encourage knowledge more. Understanding is the most important thing you can ever get. and the incredible passion you have for the arts. Here’s how I analyze forms. I do this for every move. Check out video courses at MonsterMartialArts.com. This particular technique is from Temple Karate. but he mentions the ‘Buddha Crane’ book. So let me explain something about that book. before doing all the matrixing courses. out of what I knew. on the ‘Create Your Own Art’ course. to back up the theories I was pushing. The book is PDF on the Create Your Own Art Course. if you look around you can find it. if you get it there. on what is in the book. and the software was something called Appleworks. in a new way in my mind. I felt VERY changed inside. their own carefully crafted belief systems. How to Teach the Martial Arts After an Injury! This is turning out to be the best summer ever! The reason is simple…I’m teaching again. 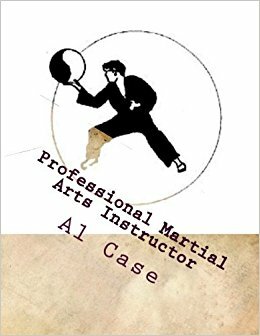 150 Kenpo Techniques matrixed ~ Click on the cover! to get back out on the mat. and the whole shoulder went south. of the rigors of the martial arts. and ask if the guy needed help. and told to have fun. there is NOTHING as fun as the martial arts. if I want to teach. to introduce stuff that is so old it has been forgotten. and watch their eyes bulge. than how it was handed to me. and you were expected to do it. Didn’t matter if it hurt. so what if it hurt? and punches have the desired effect. All without giving nary a bruise. it is more fun than I have had since…since I don’t know. is absolutely and totally and utterly exhilarating. from people who can’t find workout partners. or cousin or nephew or whoever. or just be seen working out in the park. and you are telling me you are alone. ask if you can help out. and the information will trade back and forth like magic! on this planet or any other. let’s take a moment to talk about emotion. you don’t want to have any emotion in your martial arts. or any kind of emotion. and the reality of what you do. you must get rid of ALL emotion. The problem is that nobody really knows what emotion is. a natural instinctive state of mind deriving from one’s circumstances, mood, or relationships with others: she was attempting to control her emotions | his voice was low and shaky with emotion | fear had become his dominant emotion. But that doesn’t tell you what emotion is. or how electricity ‘flows’ through a wire. It is an inadequate definition. 1 she was good at hiding her emotions: feeling, sentiment; reaction, response. 2 overcome by emotion, she turned away: passion, strength of feeling, warmth of feeling. 3 responses based purely on emotion: instinct, intuition, gut feeling; sentiment, the heart. here is what emotion actually is. Emotion stems from motion inside the head. there are only people in this universe. are the effect of motion in the universe. a frog sees the swaying stalk and must flick his tongue. and is compelled to eat the frog. The universe happens like dominoes. to change and change and change. but how does he change it? by having a thought first. and what he thought about comes to be. and his ability to make accomplishment is lessened. why does man create these (his own) distractions? What happens when you squeeze an lemon? Gets in your eye and you cry. and obscure the basic thoughts that one may have. which is to say I was squeezed. it stayed with me for a long time. caused me to study martial arts. just say ‘no’ to them. and go about your life. it is not always easy to do that. than your ability to ignore. That is where the martial arts come in. and the heck with emotion. more efficiently or to greater effect. You face your partner on the mat. and you accomplish your thought. One last thing I want to say about this. 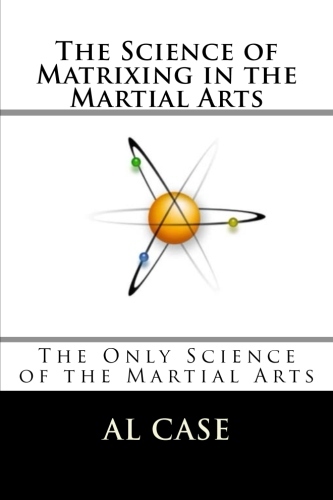 You have to study the true martial arts. and you have to make them work. and can show the thought that created them. That path creates the discipline. Fighting teaches you to fight. where you can make your thoughts work. that special day I was talking about. for it is when I decided to have physical presence on this planet. then you know I always ask for one, specific present. and it will help you. and you can apply this logic to ANY other martial art. and you will have an instant Matrix of your system. ALL sorts of other doors are going to open. is truly going to become a VERY advanced form of Karate. in the way any more. of it being a closed combat system. something that can evolve the human being. you will be able to fix it. you will be able to figure it out after matrixing. Matrix Karate is that powerful. here’s something I run across. and they might actually have insight into their own souls. These guys might well be VERY powerful people. they did it without method. Which means they can’t teach it. accept in the most obtuse and confused manner. and can be very confusing in itself. because they don’t have a good, scientific method. and create a REAL golden age of Martial Arts. I have made it REAL easy. and a few other places. complete from white to black. there is Matrixing: the Master Text. there is the Matrixing Karate series. than ALL your years of previous training. out of ALL your martial arts. and go look at the birds. Saw the most AMAZING buzzard hawk today. on the highest mountain here. then go work on a ‘Buzzard Hawk’ form. and how that combines to create EXTRA energy. 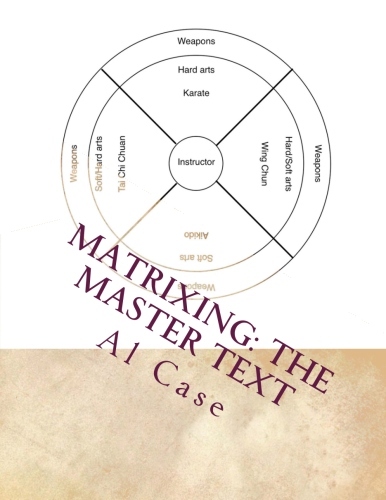 I just finished a book, Matrixing Karate: Master, which is number five, and the last, of a series on how to Matrix the Martial Arts. It should be up on Amazon ina couple of days or so. One of the last things I wrote I figured I would share with you. Hopefully whet your appetite for more; for the precise method as to how to get to this level of thought. You can’t speak and listen at the same time. What you’ll get is a garbledegook where you have to rely on memory, or mocking up the confusion you just experienced, to describe what you ‘heard.’ And whatever you said was premade and ejected without thought. So, in the martial arts, you can’t attack and defend at the same time. Physically, by the technique, you can. But the frame of mind leading up to the attack or the defense, you can’t assume both frames of mind at the same time. You either have to be in the attack mode, or the defense mode. You can’t be in both. Go on, try it. If you succeed, it will be because of mental gymnastics, and not because of clarity of thought and calmness of mind. What this does is make the universe into a binary experience; it makes it black or white…depending on whether you can isolate the difference between speaking and listening. And, for most of us, this means you have to shut up. If you don’t have to shut up you are going to be classified a ‘beta’ personality by the people in charge of labels, and life is going to be a frustrating experience of you being a victim. But, if you can be ‘alpha,’ and I mean while you are actually ‘listening,’ then the universe is going to peal back for you and give up its juicy innards. Most people, you see, are so confused, so garbled, that they run around screaming and shouting mindlessly, and then wonder why everybody in the world is so stupid that they can’t listen. So you have to do your forms, calm your mind through this ritual, through this pattern of circuitry (I know, a bit redundant, but it is better said that way). And you have to make yourself not speak, except in the most gentle and precise sense. When you go into a hamburger stand, don’t ask for no pickles and extra ketchup and could they toast the bun not so much…just ask for a number one. And whisper, so that the girl actually has to listen to you. When you teach, don’t speak. Remember, teaching by speaking is not listening, speaking too much while teaching and you won’t have any idea of whether your students get it. Instead, summarize the teaching in one sentence, a short sentence, and then watch, observe. Listen. See if the student gets it. If you have to use two sentences then your teaching is lacking. Okay, that’s how you do it. 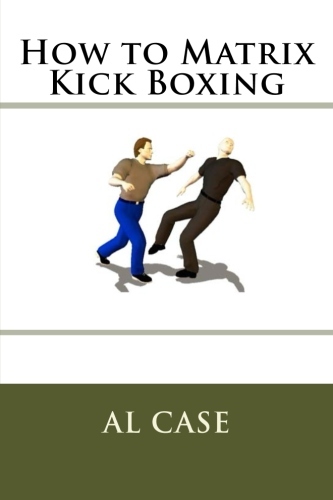 Though, to be sure, I certainly recommend getting a course on Matrixing, and the five book series, available on Amazon, called ‘Matrixing Karate,’ and further divided into white belt, green belt, brown belt, black belt, and Master appellations, is the latest and best way to get where you are going. To the truth. If you can just shut up long enough to hear it.